Former Black Stars defender John Pantsil believes Ghana’s failure to make it to the 2018 World Cup in Russia must be a key factor in guiding Ghana to win the 2019 AFCON. The former West Ham and Leicester City defender who played at the 2006 and 2018 World Cups in Germany and South Africa respectively is of the conviction that the Black Stars can only compensate Ghanaians of their absence at the mundial with the AFCON trophy. Ghana, for the first time since 2006, failed to pick a ticket to the 2018 World Cup, surrendering the slot to Egypt who had missed out of the competition since 1990. And the former Fulham star believes the AFCON trophy is the will be the magical touch to wipe out the tears of Ghanaians for failing to make it to Russia. “We need to learn our mistakes from our inability to qualify for the World Cup and to turn things around, we have to win the AFCON by any means possible,” he tasked. “It’s a must win trophy and the players must understand that. I however trust that the technical team of the side (Black Stars) can guide the team to lift the trophy,” he added. 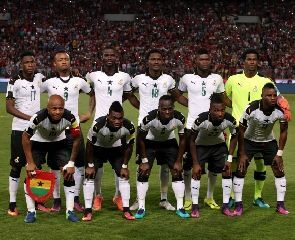 Ghana first qualified for the World Cup in 2006 and followed it up with two more appearances in 2010 and 2014, but a poor start to the campaign in 2017 ended hopes of the West Africans of making a 4th consecutive appearance.